Home » Host Clubs & Hostess Bars » How Did You Ever Survive Without A Luxury Potato Holder? 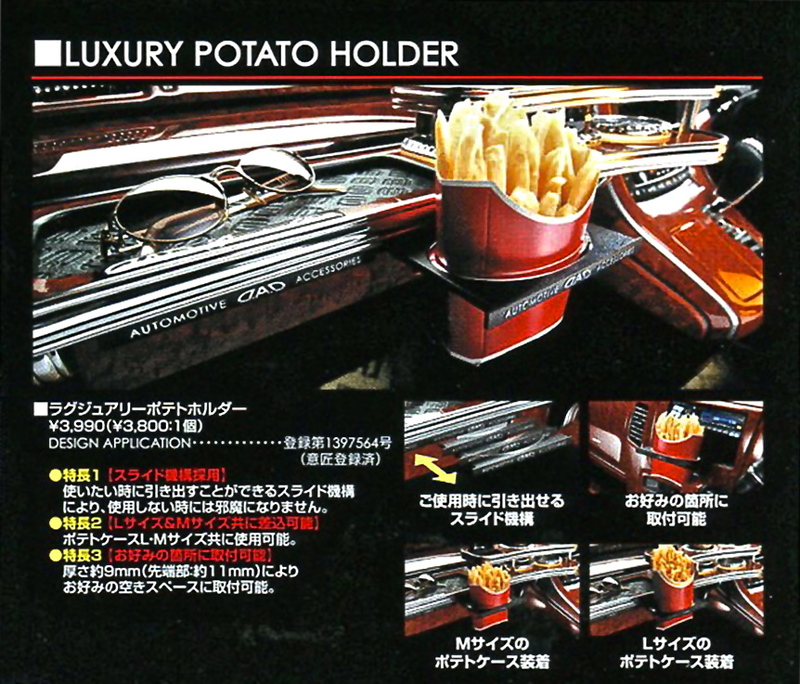 How Did You Ever Survive Without A Luxury Potato Holder? How are you going to stash those fries so they don’t get grease all over the fake fur seat covers in your rolling blingmobile? Shibuya 109 DAD store to the rescue! 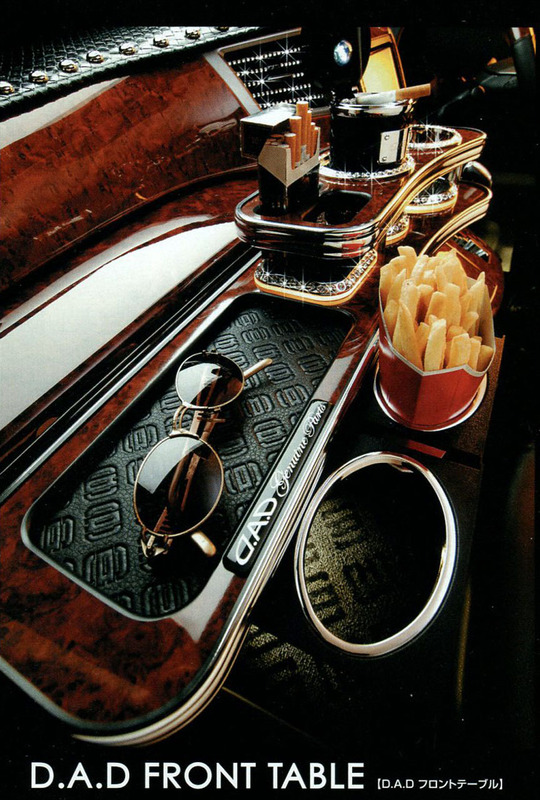 Tart up your car with a single french fry caddy, or go whole hog with the DAD Front Table, to take all your vices on the road in style! If you’d like to visit the Men’s 109 building in Shibuya the next time you’re in Tokyo, a map is on my website, The Tokyo Guide I Wish I’d Had.